Academic and sporting hall of fame. We’re proud that so many of our students have gone on to reach the highest levels of their chosen field. Our Hall of Fame honours FirstPoint alumni who have achieved All-Conference, Regional, or All-American status in their sport or academics. US Masters Champion, Danny Willett, signed with FirstPoint USA in 2005 and secured a golf scholarship to NCAA Division I program, Jacksonville State University that same year. The Yorkshire native went on to become Ohio Valley Conference ‘Freshman of the Year’, in addition to All Conference and All Tournament accolades, as he led the college to the Ohio Valley Championship. During his amateur career, he won the English Amateur Championship in 2007 and competed in the 2007 Walker Cup at Royal County Down. In March 2008 he became the No.1 ranked amateur in the world. Willett turned professional in May 2008, and earned his European Tour card for the 2009 season coming through qualifying school. Following a successful 2009, finishing 58th in the inaugural Race to Dubai with 8 top-10s, Willett challenged at the 2010 BMW PGA Championship, taking the first round lead before falling off the pace and finishing outright fifth, winning 190,800 euro. Following this performance, Willett moved into the top 100 of the Official World Golf Ranking for the first time. He finished the 2010 season ranked 23rd on the Order of Merit. 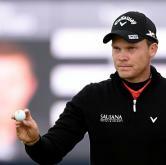 Willett won for the first time on the European Tour in June 2012 at the BMW International Open in Cologne. He defeated Marcus Fraser on the fourth extra hole of a sudden death playoff. Willett finished third at the 2015 WGC-Cadillac Match Play, earning special temporary membership on the PGA Tour for the remainder of the 2015 season. Through 36 holes at the 2015 Open Championship, Willett was one stroke off the lead of Dustin Johnson and was paired with him in the final group for the third round of the Championship. He only could muster an even-par 72 in the third round, however, and dropped down the leaderboard. A final round 70, moved him into a tie for 6th at the Old Course at St Andrews, his best finish in a major. In July 2015, Willett won his third European Tour title with a one-stroke victory over Matthew Fitzpatrick at the Omega European Masters. Though he earned enough to qualify for a PGA Tour card, Willett declined to take PGA Tour membership for the 2015–16 season. Danny won his first major championship at the 2016 Masters Tournament at Augusta National after shooting a five-under-par round of 67 to take advantage of a collapse by Jordan Spieth. Defending champion Spieth led by five shots as he approached the 10th hole of the final round. Willett took the lead when Spieth, who was leading by 1 shot from Willett, had a quadruple bogey 7 at the par-3 12th. Willett was the leader in the clubhouse at −5 when he posted a bogey-free final round of 67 and was crowned champion when Spieth finished at −2 alongside Lee Westwood. Willett became the first British player to win the Masters for 20 years, Nick Faldo having won in 1996. Knox was a promising junior golfer at the Scottish Highland club of Nairn Dunbar before transferring his membership to nearby Inverness, his home town, when still a teenager. At that stage the only potential hindrance to Knox’s development seemed a diminutive frame which limited his ability to find distance from the tee. What he had then, as remains the case now, is a terrific level of accuracy both with driving and approach shots. Last year his greens in regulation level was the fourth best on the PGA Tour. The golfer has always stressed that he considers himself “100% Scottish” but, as the son of an American father and Scottish mother, attended Jacksonville University and relocated permanently after his family did likewise. Despite struggling to make a meaningful impact on big amateur events in the United Kingdom, he was part of Scotland’s team in the 2006 European Youths Championship. Knox has referenced that event, and the appreciation of just what level he had to reach briskly, as a crucial point in his career. Five years later he was more than holding his own on the Nationwide Tour. Doyle has played for St. Marys A.F.C. on his native Isle of Man. The team competes in the Isle of Man Football League. On January 19, 2016, Doyle was selected 67th overall in the 2016 MLS SuperDraft by D.C. United. However, after trialling with the club he was not signed. 2015 (Senior Season): Big Ten Defensive Player of the Year ... First Team All-Big Ten selection ... Academic All-District ... Preseason All-American by CollegeSoccerNews ... B1G Preseason Player to Watch List ... third on the team with 10 points (2g, 6a) … second on the team with 1,752 minutes ... has started every game this season … has played 90 minutes or more in 20 games and 17 straight … part of a back line responsible for 10 clean sheets … opened the season with a goal vs. Cal State Fullerton (Aug. 28) … scored the game-winner on an OT penalty kick at Indiana (Oct. 9) … collected assists on both goals in the 2-1 win vs. Bowling Green (Oct. 7) … assited the game-winner vs. Maryland (Oct. 31) ... named to TopDrawerSoccer and CollegeSoccer News National Teams of the Week (Oct. 13) ... Big Ten Defensive Player of the Week (Nov. 5) ... TopDrawerSoccer National Team of the Week (Nov. 3) ... posted an assist in the win over Michigan (Nov. 4).. had four shots vs Penn State (Nov. 8) ... posted four shots in the Big Ten Tournament (Nov. 13-15) ... has notched 33 shots, including 11 on goal along with going 2-for-3 in penalty kicks. 2014 (Junior Season): 2014 First Team All-Big Ten selection ... Second Team NSCAA All-Midwest … started and played at center back in all 22 games, collecting 2,057 minutes ... posted 12 points (5g, 2a) ... was 3-of-4 on penalty kicks to lead the team … scored his first goal for Ohio State in a 2-2 tie vs. Butler (Aug. 31) to be named to the Wolstein Classic All-Tournament Team ... played in more than 200 minutes, while limiting teams to just one goal to be named to the UNCW All-Tournament Team ... tallied a goal in home win vs. Michigan State (Oct. 4) … notched a goal in home wins vs. Bowling Green (Oct. 22) and Rutgers (Oct. 25) … registered an assist in NCAA games vs. Akron (Nov. 20) and Notre Dame (Nov. 23) … went 1-of-2 on penalty attempts during 15-round shootout vs. Akron (Nov. 20) … led the team with three gamewinning goals, which tied for third in the Big Ten ... posted 24 shots, including 10 on target (.208). 2013 (Sophomore Season at Cincinnati State): Finished the 2013 season as the team leader in points (39) and was selected as an NCSCAA & NJCAA All-American ... named to NJCAA National Tournament team ... first team All-Region and All-OCCAC ... earned first team NSCAA All-Ohio honors ... helped lead the team to its third region XII title in four seasons and its ninth OCCAC title in 11 years, posting an overall record of 18-2-2 ... MVP and Athlete of the Year ... collected 13 goals and 13 assists. 2012 (Freshman Season at Cincinnati State): Posted eight goals and 10 assists in 2012 ... All-OCCAC honoree ... named second team All-Region ... helped lead the Surge to a national quarterfinal appearance. 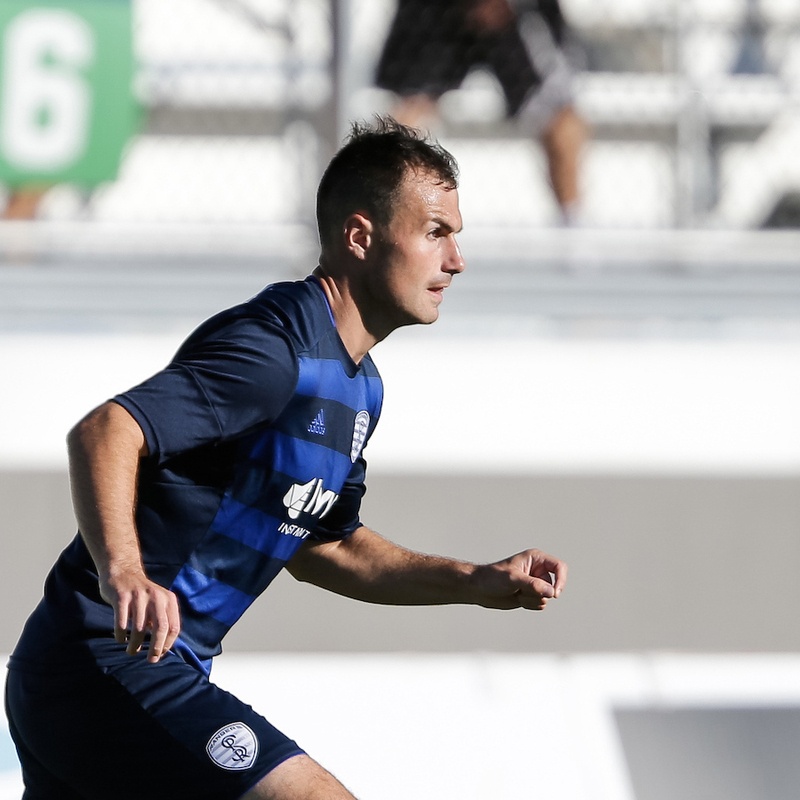 Doyle signed with United Soccer League side Harrisburg City Islanders in April 2016 and made his debut as a late substitute on April 2, 2016 against Charlotte Independence. Prepped at the Alleyn's School, where she was twice named Sportsperson of the Year (2009, 2010) and a two-time recipient of the David Furnell Trophy for Outstanding Sporting Achievement (2008, 2009). Team captain during her senior year and led her squad to a finals appearance during the 2009 English School Indoor Nationals captured the Surrey Schools Tournament title in 2007 a versatile athlete, was also a four-year letterwinner in water polo at the U16 and U18 levels. The goalkeeper moved to California on a hockey scholarship with Stanford in 2010 and hasn’t looked back. The former England U16, U18 and U21 international was named defensive player of the year in the NorPac conference. 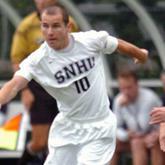 McGuire '07 was a three-year member of the men’s soccer program from 2004-06. Despite being limited to just 44 games (41 starts) in his career, the Glasgow, Scotland native totaled 22 goals and 16 assists for 60 points. McGuire led the team in scoring in his first two seasons and finished third as a senior. A two-time NSCAA All-American, McGuire was a First Team selection in 2005 and named to the Third Team in 2006. A three-time First Team All-Region and three-time Northeast-10 All-Conference performer, McGuire was also a CoSIDA Academic All-District selection as a junior, and helped lead the Penmen to an NCAA berth as a senior. Gavin started playing golf aged 12 at Murrayshall Golf Club, Scone, Scotland. He quickly reduced his handicap to 0 by the time he was 16. Gavin graduated from Perth Academy and was recruited to play golf at Lynn University, Boca Raton. 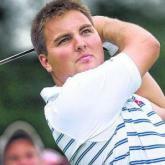 He was the Sunshine State Conference Freshman of the Year in 2002 after finishing 4th at the Conference Championship. Gavin was an integral member of the Lynn University golf program as they were consistently ranked as one of the top ranked teams in NCAA Division II. Gavin recorded 14 top ten’s in 41 tournaments. He graduated with a degree in Marketing. On returning to Scotland, Gavin attended Stirling University and graduated with a Postgraduate Diploma in Information Systems Management. Gavin represented Scotland as an amateur, winning both the 2008 World Team Championship (Eisenhower Trophy) and 2009 European Team Championship. 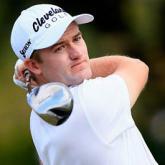 Individually Gavin won the 2009 Irish Amateur Championship and the 2009 Dixie Amateur Championship (Florida). Gavin represented Great Britain and Ireland in the 2009 Walker Cup held at Merion Golf Club, when he turned professional he was ranked 12th in the World Amateur Golf Ranking. As a professional Gavin has accumulated 2 professional wins, the 2010 Feudo Asti Open (Italy) and 2011 Tikida Open (Morocco). 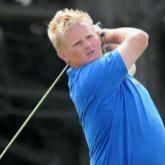 Gavin has played on numerous tours including European, Challenge, Alps, EPD and EuroPro Tour. Gavin has an expansive knowledge of the U.S College golf scene and has helped a number of players be recruited. UK - Former West Ham United FC and England Youth International player. 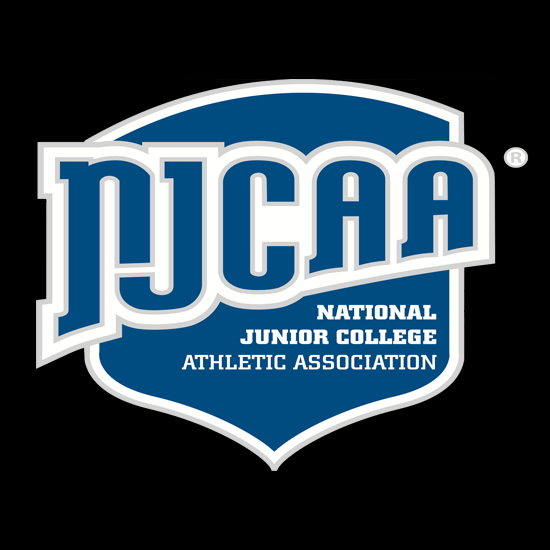 NSCAA & NJCAA National Soccer Player of the Year. 2 x All-MAC and Herman trophy candidate 2008. 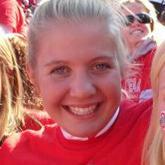 “I joined the Michigan State field hockey team in August 2011. We started pre-season in early August and then out season began around the end of August. I had an amazing first year at State – it was a lot of fun, and a great experience!" A member of the U18 Scotland hockey squad. She competed for the West of Scotland in the Scottish inter-district tournament in Edinburgh in both 2009 and 2010,where she was crowned a champion both times. She also competed in the Scottish indoor inter-district tournament in 2010 and 2011. Named captain for the 2010 and 2011 seasons. 2011: Saw action in all 20 games for the Spartans and started 11. Recorded her first point in her first game as a Spartan against California on an assist on Chelsy Coil's goal (8/27). 2012: One of five Spartans to play in and start in all 20 games. Scored five goals and tallied three assists, totaling 13 points on the season. 2013:Crucial part of the MSU midfield, and started in all 24 games for the Spartans. Scored two goals against Stanford (9/2). Her eight assists on the season was the third-most on the team and ranked 10th in the Big Ten... Assisted on the game-winning goal vs. Central Michigan (10/22). 2015: Started all 19 contests in the Green and White. Recorded five goals and tied a team-best five assists for 15 points on the season. Scored her first goal of the season against Old Dominion (9/4) Recorded her final goal of her collegiate career against Maryland in the Big Ten Tournament (11/5). Career Notes: Named to the BIG EAST All-Academic Team in 2009, 2010, 2011, 2012...first Blue Demon to be named to the All-BIG EAST Cross Country Team... in 2009 became the first DePaul student-athlete to win all five regular-season races... first DePaul runner to earn BIG EAST Athlete of the Week in cross country. 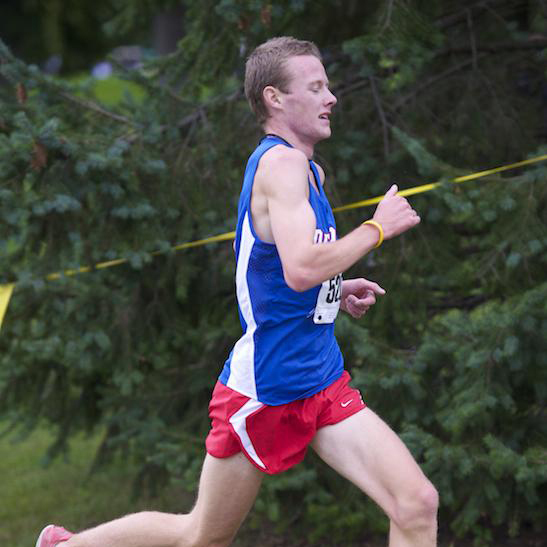 Cross Country: Won the UIC Home Opener with a time of 20:29.5...won the National Catholic Championships with a time of 24:15...was the highest scoring Blue Demon in every race he ran this year...finished fourth at the BIG EAST Championships in Louisville, Ky. with a time of 23:38.4...finished fifth at the Greater Louisville Classic in 24:09.00. Indoor: Finished in the top 10 five times...placed sixth at the BIG EAST Championships in the 5,000m with a time of 14:17.2...placed eighth at the BIG EAST Championships in the 3,000m with a time of 8:12.54...ran a career-best 14:13.06 in his third-place finish in the 5,000m at the Indiana Relays...placed second at the Notre Dame Invitational in the one mile run with a time of 4:12.38...ran a career-best mile time of 4:11.30 while finishing seventh at the Iowa State Classic. Outdoor: Won two events at the Chicagoland Championships: the 5,000m and 10,000m, in which he ran a career record time of 30:05.26...finished first in the 3,000m Steeplechase at both the Oliver Nikoloff and FSU Relays...finished third at the BIG EAST Championships in the 3,000m Steeplechase with a season-best time of 8:57.67...ran a career-best time of 3:52.98 while finishing fifth in the 1,500m run at the Tom Botts Invitational. Cross Country: Named BIG EAST Athlete of the Week for men's cross country on three occasions...picked up first honor after winning the BIG EAST Preview 6K by 23 seconds and garnered his second athlete of the week designation following a decisive win at the Sean Earl Lakefront Invitational...won four races and finished third in two others...placed first in the Vincentian Cup Invitational with a four-mile time of 19:59...finished the National Catholic Championships with a third place time of 24:10...took home first at the Bradley Classic with an 8K in 23:37, a new career-best time...placed third at the BIG EAST Championships, finishing the 8K race in 25:08.1...finished the NCAA Regionals 10K race with a personal-best time of 30:30.17, giving him 21st place and a spot on the NCAA Midwest Regional Team. Indoor: Finished in the top 10 in every event in which he competed...collected two first place finishes on the season with the first coming in the 5000m dash at the Blue and Gold Invitational (14:34.11) and the second coming in the 3000m run at the Notre Dame Invitational (8:24.83)...took second place in the one mile run at the Illinois Intercollegiate Championships with a time of 4:14.20...also took second in the 3000m run at the Meyo Invitational where he posted a season-best 3000m time of 8:09.75...placed third in the BIG EAST Championship in the 3000m with a time of 8:20.81 and finished in eighth at the Alex Wilson Invitational in the same event with a time of 8:11.26. Outdoor: Earned top 10 finishes in seven of nine events, including two first place showings...took home firstin the 3000m steeplechase at the ISU Duals with a time of 9:00.20...also placed first in the 5000m run at the DePaul Invitational with a time of 14:38.17...this 5000m time of 14:29.47 at the BIG EAST Championships was a career-best and good for seventh place...placed second at the Cardinal Invite in the 3000m steeplechase (9:01.20) and third in the same event at the Sun Angel Classic (9:09.36)...took home fifth in the 1500 m run with a career-best time of 3:54.18 at the 49er Classic. Cross Country: Earned BIG EAST Athlete of the Week honors twice after winning the National Catholic Championship and the Lucian Rosa Invitational... won every race of the regular-season... placed 14th overall at the BIG EAST Championship to earn All-Conference honors... lowered his personal-record 8K time to 24:24 at the Bradley Open... placed 26th at the NCAA Midwest Regional after clocking a 31:43 10K. Indoor: Set the DePaul record in the 3,000m after posting a time of 8:18.12 at the Indiana Relays... placed 15th at the BIG EAST Championships in the 3,000m behind a time of 8:22.20... broke the 5,000m school record at the Alex Wilson Invitational with a time of 14:28.31... won the 3,000m race at the Notre Dame Indoor Opener... posted a mile time of 4:20.29 at the Badger Track Classic... anchored the 4x400m relay team that recorded a time of 3:37.22 at the Blue and Gold Meet. Outdoor: Set the DePaul record in the 3,000m steeplechase at the BIG EAST Championship with a third-place time of 8:51.48... in addition to the DePaul Record, it was a 19 second improvement from his previous personal best... placed 20th in the steeplechase at the NCAA Championship West Preliminary... won the steeplechase at the 49er Classic, the Georgia Tech Invitational and the Marquette Twilight... set school record in the 3,000m at the DePaul Relays with a time of 8:41.23... won the 5,000m at the Dave Rankin Invitational with a time of 14:40.71. Cross Country: Named the program's first ever BIG EAST Athlete of the Week after placing second at the Fordham Fiasco... placed in the Blue Demon top-five in all seven races... ran the team's fastest 8K of the season at the Sean Earl Lakefront Invitational with a time of 25:19...placed third overall at the DePaul Opener... was the team's top finisher four times. Indoor: Ran a team-leading 3,000m at the Bob Eubanks Open with an eighth place time of 8:33.64...clocked a mile time of 4:23.89...part of the 4x400m relay team at the Notre Dame Indoor Opener that recorded a time of 3:34.59. Outdoor: Clocked a personal-record time of 9:13.50 in the 3,000m steeplechase at the Cardinal Twilight... placed 13th at the BIG EAST Championships in the steeplechase with a time of 9:13.95...won the 3,000m steeplechase at both the Bobby Lane Arlington Invitational and the Chicagoland Championships... clocked the team's best 1,500m, 3,000m steeplechase, and 5,000m times... ran the 1,500m at the Chicago Penultimate in a season-best time of 4:06.87... team-best 5,000m raced at the Mike Poehlein Invitational with a time of 14:52.77. High School: Ranked No. 3 in Scotland for the U20 2,000m steeplechase... 2008 Scottish Schools champion in the 2,000m steeplechase... silver medalist in the Scottish Cross Country Championships in 2008... Scottish U20 Steeplechase Champion in 2008... Celtic Nations 2,000m steeplechase winner in 2008... member of the Kirkintilloch Olympians. Personal: Son of James and Alison Graham... has one older sister, Caroline... grandfather played soccer for Burnley FC... political science major. As a sophomore (2013): Started all 20 games... Tallied a career-best five goals... Delivered the game-winning assist in the 3-2 overtime win over (then-No. 20) ODU (Sept. 20)... Named to the BIG EAST honor roll on Oct. 28...Field Captain and Leadership Group member. As a freshman (2012): Played in all 20 games with 19 starts... Scored two goals, including the game-winner in the 2-1 upset of No. 11 Iowa... Dished out two assists... Tallied six points... Named to the BIG EAST honor roll (Oct. 8). Caroline achieved great success at Ohio State University, on a crew scholarship she originally secured through FirstPoint USA. She rowed from the age of 12 for her school in Edinburgh, then went on to row for her country. She became National Champion in the J18 doubles event in 2006. She became a four time scholar-athlete in the USA and she made Dean’s list all four years. 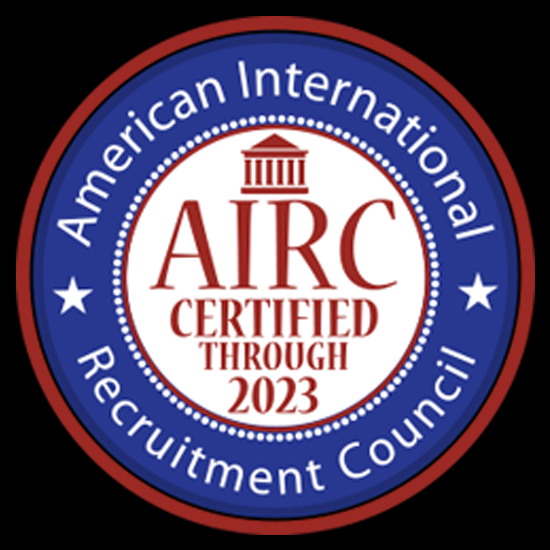 as you grow to understand the American-Way you grow to thrive in the environment both academically and athletically. McFerran, a freshman goalkeeper from Larne, Northern Ireland, has been a member of Ireland's national team since 2014 and has earned 24 caps. 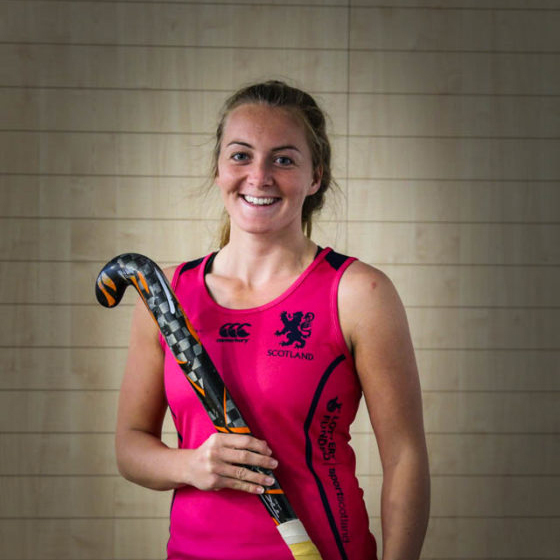 Most recently, she competed with the Irish and the Irish National Field Hockey team in the FIH World League Round 3 Games held in Valencia, Spain in June. She completed an impressive rookie campaign at Louisville, becoming the first freshman in program history to earn All-America honors when she was named to the 2015 Longstreth/National Field Hockey Coaches Association (NFHCA)All-America third team. The NFHCA All-West Region first team selection led the ACC – and tied the school season record - with nine shutouts. She posted a 1.24 goals-against average on the season, and earned ACC Defensive Player of the Week honors on Nov. 3. Left-sided midfielder who joined the Honest Men in January 2013. Michael spent seven years at Rangers as a youngster before moving taking up a scholarship at Embry-Riddle University in Daytona Beach, Florida where earned a business degree. During four years in the US, ‘Mikey’ played both college football and in the US Professional Development League with the Jacksonville Destroyers. On returning to Scotland, Mikey spent a short time with Glenburn Amateurs and Maybole Juniors before being picked up by United. Another Ayrshireman in the squad, Mikey is a community coach with the Ayr United Football Academy. John Paul (JP) started his career at Kilmarnock U19’s/ Reserve team for three seasons, where he was part of the Scottish Youth Cup team in 2004 and also won the Golden Boot at the Northern Ireland Milk Cup before heading out to the States to pursue a soccer scholarship. JP decided to accept an offer from Hartwick College in New York, during his first year there he was named Soccer America Freshman All-American and helped the Hawks to their first National Tournament appearance in 10 years where he scored the single goal in a 2-1 defeat by Seton Hall. John Paul made 76 appearance for the Hawks scoring 31 goals and making 8 assist this currently has him on the all time leader board at Hartwick for career goals. He was named NSCAA/Adidas North Atlantic All Region 1st team and All Conference 1st team throughout his four years, named Rookie of the year, selected for various all tournament teams and won team MVP(Most Valuable Player) twice. John Paul is now the Operations Manager at FirstPoint where he oversees the day to day running of the office and secures scholarship deals for FirstPoint USA athletes with the Clearing and Promotions team. In 2007 and 2008 Macaulay was in the national selection. In Glasgow he was Scottish Golfer of the Year Award in March 2008. In 2008, he defeated Steven McEwan 5 & 3 in the final of the Scottish Amateur he was the Scottish Open play. He also played with Wallace Booth and Gavin Dear in the Eisenhower Trophy. They were the first Scottish team to win this tournament, started since 1958. Winning his place on The European Tour International Schedule at the Qualifying School – Final Stage. He won the Scottish Amateur title at Carnoustie before holing the winning putt for Great Britain and Ireland against Europe in the St Andrews Trophy. Came through all three Stages of the School, playing 252 holes in total, to secure his 2009 Tour card and then promptly join the professional ranks. Lewis Hawke hails from Howwood, Renfrewshire. He began his soccer career as a youngster at Linwood Rangers, before signing for Greenock Morton, who he had been a ballboy for in his earlier years. Not to mention the family heritage at Morton, for his father is Warren Hawke, a legendary striker for the club. On the 5th of May, 2012, Lewis scored his first senior goal for Morton, after being rewarded for his excellent form previously, in being asked to join the first team. He came on as a substitute and his goal was a bullet header from the edge of the six yard box against Raith Rovers. Lewis moved to Annan Athletic in February of 2013 where he appeared in six matches. Obviously, playing at a high level of football, Lewis came to FirstPoint USA and chose Furman University as his place of study. In 2013, Lewis appeared in 13 matches as a reserve during his freshman season, he scored three goals and added one assist. Lewis scored a pair of goals in an 8-0 win versus Presbyterian and added a goal and an assist in a 5-0 victory at East Tennessee State. In 2014, Lewis was named second team All-Southern Conference performer who tallied nine goals and two assists. He played in 22 matches and made 20 starts. In 2015, Lewis garnered second team All-Southern Conference honours for the second straight year after bagging five goals and adding two assists in 18 matches. 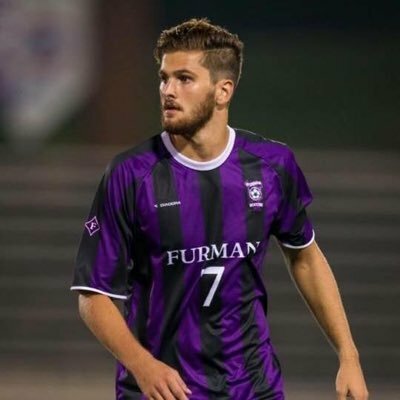 He scored the winning goal in the SoCon Tournament finals for the second consecutive season and tallied late versus South Carolina in NCAA Tournament play to help force a penalty shootout. Currently, Lewis plays for FC Bulleen Lions, who are a semi-pro team, located in a suburb of Melbourne, Australia. Bulleen compete in the National Premier Leagues Victoria. Firstpoint USA are a very professional organisation. I had a great experience in America and that was largely down to the guidance I recieved from FirstPoint. Going into the process, I had very little idea of the process, but they kept me and my family well informed on all matters. I would recommend FirstPoint USA due to the huge network of contacts that they have, and the personal relationship they create with you. Jordan Wilson hails from Glasgow and began his serious football at academy level of Rangers FC. Two of these years he spent playing full-time at u17 and u18 level. During these years Jordan played for the u17s, u19s and reserve team. He also ended up playing for the Scottish National team and attended national training camps. When playing at such a high level, Jordan decided to apply for a soccer scholarship through FirstPoint USA. 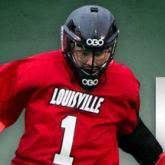 After receiving many offers, he accepted the University of Kentucky. In 2013, as a Freshman, Jordan started all 17 games he played and logged 1531 minutes which ranked 4th on the team, despite missing 3 games. The defender was a key member at the back line for the Wildcats, with only 20 goals reaching past them, in the games he played. Jordan was named to the Conference USA All-Tournament Team and became a member of the SEC First-Year Academic Honour Roll. In 2014, as a Sophomore, Jordan was established as one of the nation’s best defenders and made it to the First-team All-Conference USA. He ranked fifth in the team in minutes played (1,866) and played full-time in 19 out of Kentucky’s 20 games. Also, one of the weeks with Jordan’s form, he won All-Conference Defensive player of the week. In 2015, as a Junior, Jordan made it again to the First Team All-Conference USA and the NSCAA All-Region. He was regarded a key player at the centre of defence that conceded only one goal in league play. Once again Jordan won All-Conference USA Defensive Player of the Week, after he had a great week in defence as well as scoring his first career goal. In 2016, as a Senior, Jordan made it again to the First Team All-Conference USA and the NSCAA All-Region. A significant player at the back that saw his team finish in the top 20 national defence. Jordan scored a career high of four goals, three of them being game winners, including a header in the dying minutes of the second overtime against a highly-ranked Charlotte side. He also won All-Conference USA Defensive Player of the Week after the Charlotte match. A very successful university soccer career for Jordan! John Haist hails from Oxfordshire, England and began playing football seriously for his high school team where he had a lengthly reign as captain. 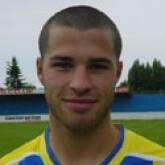 Hungerford Town was his club team, where he won Young Player of the Year in 2013. later, John was moved up to U18 Hungerford Town team where he was top goalscorer. As well as football, John played other sports in his younger years; basketball, rugby. John attended Loughborough University and completed one season of football at his time there. John arrived at FirstPoint USA with the intension of gaining a soccer scholarship to the USA. After consideration of his offers, he chose Colorado School of Mines. In 2015, as a Freshman, John won Hero Sports D2 National Rookie of the Year and D2CCA, D2CCA Second-Team All-Region, RMAC Freshman of the Year and RMAC Offensive Player of the Week. He was a super sub for Mines up front, starting only once but finishing second in the team with 12 goals and 3rd with 26 points. John slotted his first career goal at Regis and scored in all three of Mines’ NCAA Tournament games. In 2016, John won D2CCA Second-Team All-Region, was 2nd on the team for goals and point and 3rd for assists. He took 60 shots, started in 14 of 19 games as a forward and scored in three consecutive games to end the season. In 2017, John won D2CCA First-Team All-America, United Soccer Coaches Third-Team All-America, D2CCA South Central Regional Player of the Year, D2CCA First-Team All-Region, United Soccer Coaches First-Team All-Region, RMAC Player of the Year, First-Team All-RMAC and RMAC Offensive Player of the Week. He appeared in 21 games with 19 starts for the Orediggers and finished the season with the 2nd most goals in NCAA Division II and most game winning goals across all divisions. John also recorded a hat-trick against CSU-Monterey Bay, ranked No. 2 in DII for goals per game, No. 3 in points per game and wrapped up the season No. 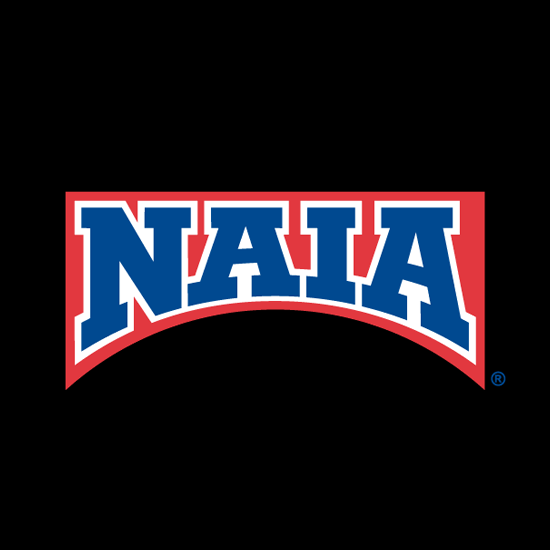 4 in total points in all of NCAA Division II. A very successful university career for John!